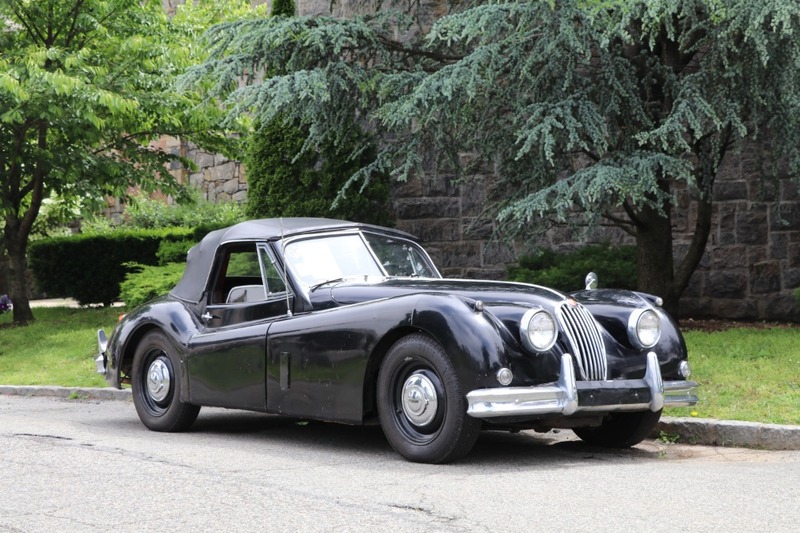 1956 Jaguar XK140 Drophead Coupe with Matching Numbers This 1956 Jaguar XK140 DHC is an excellent original matching numbers car for straightforward restoration. It wears its original color combination black with red interior. It's had just one respray and still retains its original interior. Just out of long-term ownership, the car runs and drives and comes complete for easy restoration. Highly collectible and desirable. A great buy with a lot of potential and a very exciting offer at only $67,500.